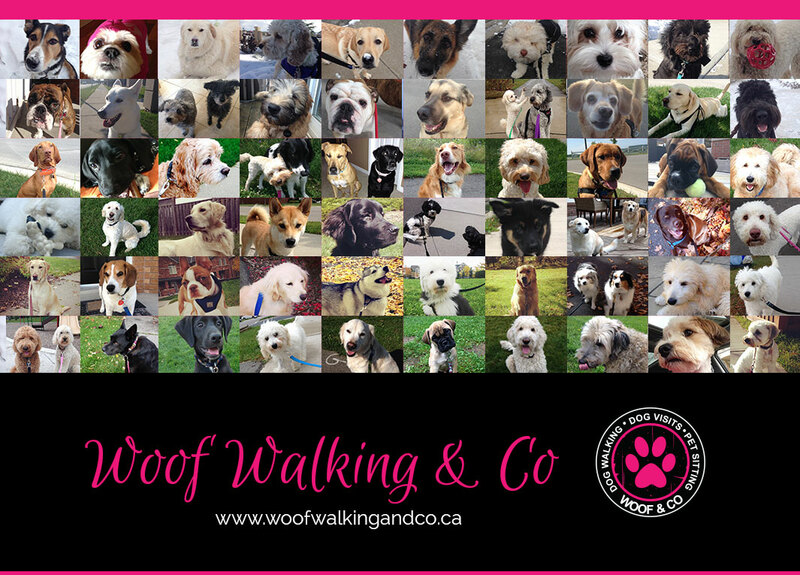 Woof Walking & Co is a Milton based company that provides dog walking and pet sitting services that will help your dog get plenty of exercise, socialization and affection while you are away. Our goal is to help eliminate destructive and anxious behaviours by providing a fun, social mid-day walk/visit to break up an otherwise long and lonely day. Our mission is to provide outstanding care, service and safety for your beloved dog in a loving environment. We know how important your dog is to you – they are a part of your family – and as a client, your dog will be a part of our Woof family as well. Why Choose Woof Walking and Co? To help your dog get plenty of exercise, socialization and affection while you are away! Thank you for your support in voting us Milton's #1 Dog Walking Service in 2018, 2017, 2016, 2015, 2014, & 2013! Our mission is to provide outstanding care, service and safety for your beloved dog in a loving environment. We know how important your dog is to you – they are a part of your family – and as a client, your dog will be a part of our Woof Walking family as well.